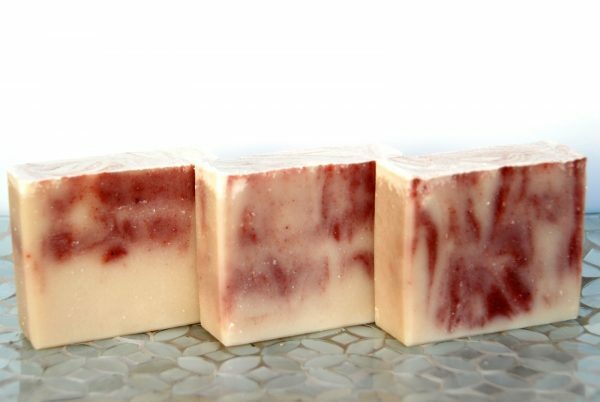 Perfect gift or luxurious guilty pleasure for you! 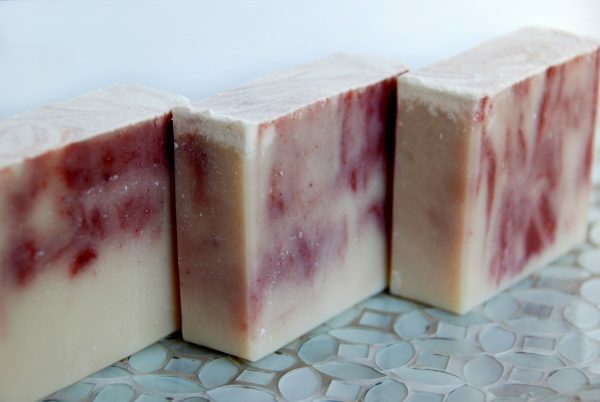 What is it about combining cherries and almonds that’s so appealing? I’ve always loved that combination. 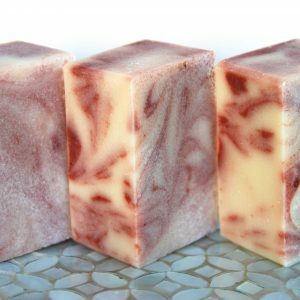 And now, I’ve used the scent in this beautiful swirled Cherry Amaretto Soap! 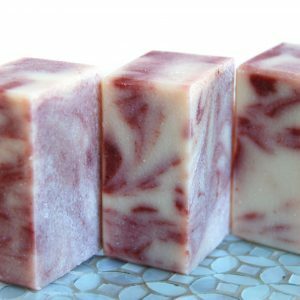 This luxurious, artisan soap is colored with rose madder. 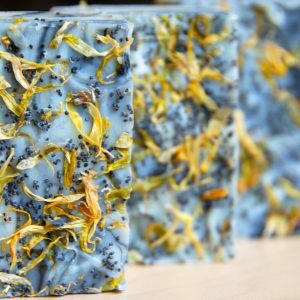 It’s beautiful not just for its scent but its moisturizing qualities. And it would sure make a sweet gift. Mother’s Day? Got you covered. Birthday, bridesmaid’s gift, or any occasion at all. 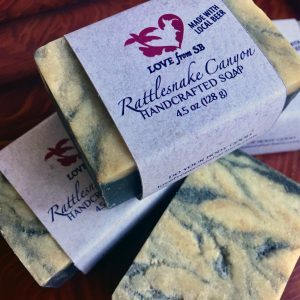 A couple other soaps that would make great gifts are the Honeysuckle Rose Soap and the Lilac Goat’s Milk Soap. 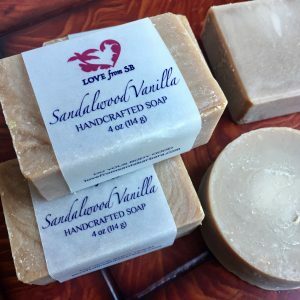 There are actually quite a few that make perfect gifts, so be sure to shop around before checking out. 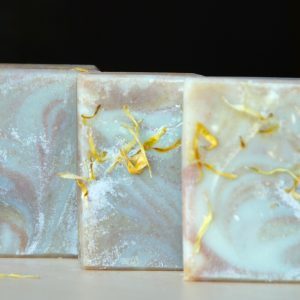 This lovely and unique handcrafted soap has lots of wonderful moisturizing ingredients in it. Coconut oil, olive oil, shea butter, cocoa butter, palm oil, and castor oil for bubbles. 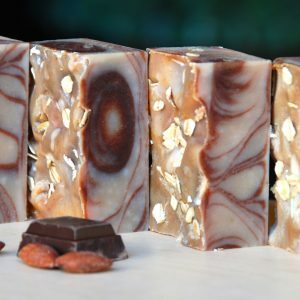 And if you love almond, you’ll probably want to try out the Almond Cocoa Goat’s Milk Soap as well. 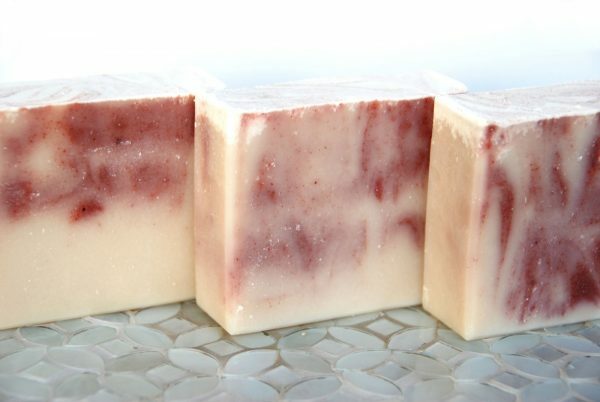 The horizontal bars are large, weighing over 5 oz. The vertical bars (think: loaf slice) weigh in around 4 oz. Word to the wise: Don’t let this soap sit in water or be in a direct stream of the shower, or it will just melt away. 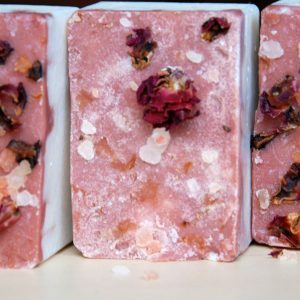 Distilled water, Olive oil (Olea europaea), Coconut oil (Cocos nucifera), Palm oil (Elaeis guineensis), Sodium hydroxide, Shea butter (Vitellaria paradoxa), Cocoa Butter (Theobroma cacao), Castor oil (Ricinus communis), Fragrance, Rose petals (Rosa), Kaolin clay, Rose madder. 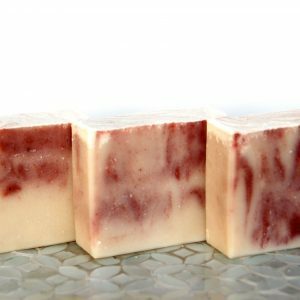 I just used the cherry/amaretto soap! 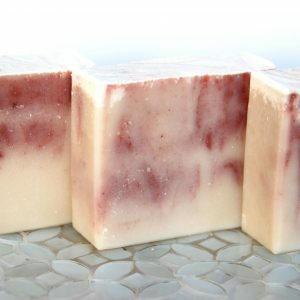 I love the fragrance and it lathers up nicely and is soothing. 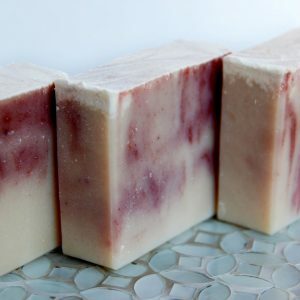 I’m really picky with soaps and i love all the soaps i have used of Donna’s. They smell and feel great! 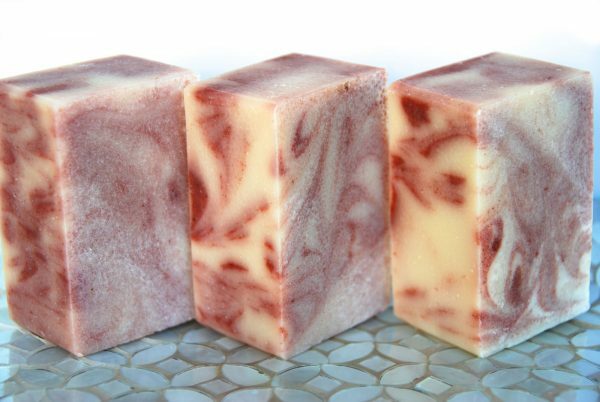 A beautiful, artisan marbled soap handcrafted in Santa Barbara with all natural, moisturizing ingredients. 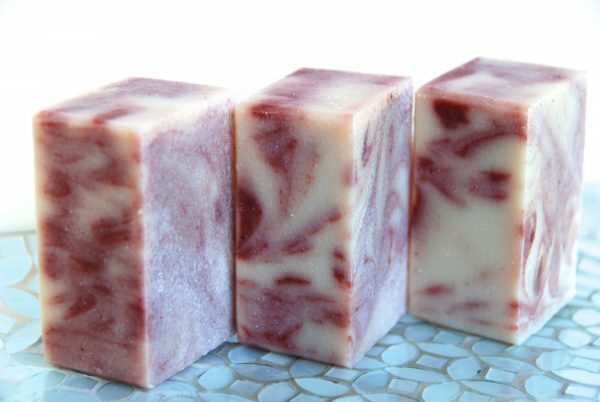 This beautifully handcrafted Mission Fig Harvest Soap has a very appealing scent and has proven to be a very popular Love from SB soap. Almond and chocolate. What could be better? 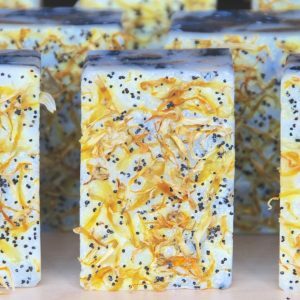 A beautiful, artisan honeysuckle soap made in Santa Barbara with lots of luxurious butters and oils. 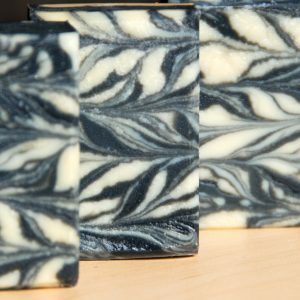 A beautiful marbled soap made with all natural and moisturizing ingredients.